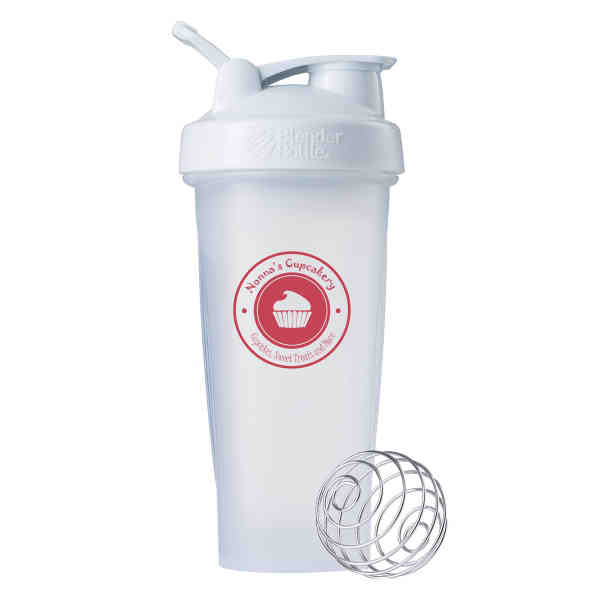 Make your next great promotion this Blender Bottle®! It's the perfect item to take with you on your workout. It holds up to 28 oz. of liquid and features a leak-proof seal and iconic BlenderBall® wire whisk, allowing you to shake together ingredients like protein powder. Other features include an adjustable carry loop, measurement marks up to 20 oz., and a screw-on, StayOpen™ flip cap. Multiple colors are available, so add an imprint using our organic four color process and let your customers decide their favorite in order to have a successful campaign!